On the heels of summer, Dynasty Luxury Rentals has announced the debut of its new website at http://www.dynastyrentals.com. Featuring integrated social media outlets, unique content, and a page structure that is easy to navigate, Dynasty Luxury Rentals invites users and customers to explore the companys available rental options and services. When landing on the home page, users will notice the unique yet simple color scheme of differing shades of black and gold. The top of each page has been utilized to showcase the companys many social media networks, including Facebook, Twitter, YouTube, and Google+. Customers that wish to stay informed on the companys ongoing Internet movements can follow Dynasty Luxury Rentals on any of these social media pages, in addition to subscribing to the companys on-site blog. Those looking for anything from exotic vehicles to mansion rentals will find that information on its respective page by using the navigation bar near the top of the site. Delving into each page, users are introduced to unique and highly informative content specifically tailored to the companys Miami customer base. For instance, customers interested in renting a convertible car can navigate to the respective page and view all available options that the company has for rent. Dynasty Luxury Rentals hired The Web Guys, an Indianapolis company, to design the website and to create exclusive SEO-friendly content and graphics. Their development laid out Dynasty Luxury Rentals information into an intuitive and detailed arrangement of services. Both Dynasty Luxury Rentals and The Web Guys expect all current and future endeavors to improve the sites Web presence and visibility. Dynasty Luxury Rentals offers customers in the Miami, Florida, region a variety of luxurious rental vehicles and services. The company specializes in renting vehicles, yachts, mansions, and providing limousine service. 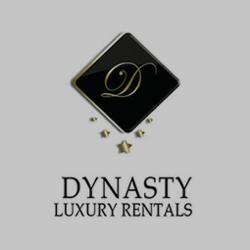 Those interested in learning more about the company can call Dynasty Luxury Rentals directly at (866) 943-9627 or visit the new site at http://www.dynastyrentals.com. 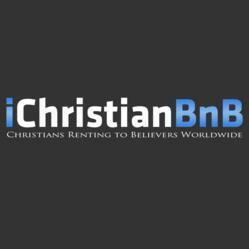 iChristianBnB.com has officially soft-launched its global rentals site. Property owners can list their residences and rooms for free. Renters can make reservations and book online instantly. iChristianBnB.com is showcasing two of its global listings from community members and hosts located in the beautiful island and province of Cebu in the Philippines. The first rental is a corporate rental titled: Cebu: 3BR, New, Modern & Hi-Tech! Rental includes a super-fast wifi connection, US & Canada corporate landline and dedicated fax line, washer & dryer, HDTV's in master BR and living room, CA-King size bed, cable, 2 full bathrooms and more and is conveniently located just a 90-second walk from Starbucks. Please see listing for more HD photos, renter reviews and complete list of amenities. The second rental is titled: Heart of Cebu: 1BR, New, Charming! Rental includes a WiFi connection, US & Canada corporate landline (& offsite dedicated fax line), HDTV's in master BR and living room, cable, 1 full bathroom, indoor grill and more and is conveniently located just a 3-minute walk from the street market with daily fresh fish, poultry, beef, vegetables & fruit. Please see listing for more HD photos, renter reviews and complete list of amenities. Interested renters, business travelers and tourists can check property availability on all listings in the calendar tab, view property location via Google maps, review detailed property description and amenities, read renter reviews and can book their reservation dates online immediately and securely with PayPal. Interested renters and property hosts can call iChristianBnB.com at their New York City office for booking or listing assistance 7 days a week. iChristianBnB.com is a privately owned Christian company with a corporate social responsibility model dedicated to creating shared value by redefining capitalism and the role of business and the marketplace in society. Digital Kiosk can be delivered on everything from 60" touch screens, kiosks, tablets and mobile devices. SmartSource Computer & Audio Visual Rentals (Hauppauge, NY), one of the nation’s leading providers of computer, audio visual (AV) and trade show technology rentals and services, announced a new partnership with Sparksight, Inc. of Austin, Texas to resell the company’s innovative Digital Kiosk Technology, Leading Reach. “Our experience with Sparksight and Leading Reach to date has been second to none. The people are great and their technology allows us to break into new markets and accounts by delivering a unique solution that delivers on the promise of a new and impressive way to present and distribute collateral at events. As important to us at SmartSouce is the fact that this solution provides a wow experience and attracts attendees to the exhibitors through the use of touch screen kiosks and large LCD Monitors, iPads, tablets and more!” says Steve Shatsoff, Senior Vice President of Regional Sales and Trade Shows at SmartSource. Better Booth Traffic and Lead Quality. Leading Reach™ kiosk can be delivered on everything from 60” touch screens to iPhones and mobile devices. “One customer had 2 touch screens and three tablet PCs all running the kiosk experience in the same booth and they claimed an 850% increase in captured leads year-over-year at the same event,” added Shatsoff. Leading Reach™ combines the best practices of lead capture, content management and web-delivery of experiences and content into a turn-key event solution. Leading Reach Kiosks integrate with show badges of any type, users browse and select videos and collateral, and confirm their contact information so that content can be emailed to them immediately, while the exhibitors and show organizers receive that data and feedback real-time. “Leading Reach was developed to help show organizers and exhibitors capture more leads and do so more efficiently. In addition to capturing a greater total number of leads, Leading Reach allows Marketing Organizations to deliver HIGHER QUALITY leads to the Sales Organization by identifying the leads that are actually interested in a particular product or offering, and delivering that information to Sales in real-time so that follow-ups are more timely and effective.” according to Curtis Gattis, Chief Performance Officer of Sparksight. Founded in 1984 and formerly known as Rent-a-PC, Inc., SmartSource Computer & Audio Visual Rentals serves broad-based corporate IT, association, professional AV and trade show technology rental needs. The company is widely recognized for its outstanding customer service, technical expertise, geographic reach, breadth of product, and end-to-end solution. Its extensive line features brand name products from Apple, Dell, HP/Compaq, IBM, NEC, Eiki, Meyer, Stumpfl, and others. Among its products are computers, servers, copiers, professional AV equipment, LCD and plasma monitors, kiosks, digital signage and video walls. SmartSource employs over 250 including over 100 field technicians. Its 24 strategic locations are in: Anaheim, CA; Atlanta, GA; Boston, MA; Chicago, IL; College Station, TX; Dallas, TX; Englewood Cliffs, NJ; Eugene, OR; Ft. Lauderdale, FL; Houston, TX; Las Vegas, NV; Long Island, NY; Los Angeles, CA; New Orleans, LA; New York, NY; Orlando, FL; Philadelphia, PA; Phoenix, AZ; San Diego, CA; San Francisco, CA; Seattle, WA; St. Louis, MO; Sunnyside, NY; and Washington, DC. Kirtland Capital Partners, a private equity firm in Cleveland, Ohio, holds a majority interest in SmartSource Rentals. For more information, visit: http://www.smartsourcerentals.com or call: (800) 888-8686. Based in Austin, Sparksight is a design firm that is focused on delivering results that inspire audiences and have a measurable impact for our clients. Sparksight's mission is to connect people, places, and ideas through the combination of carefully selected technology and great design. Sparksight helps clients reach their most important audiences around the world to transform experiences, processes and lives. Whether your focus is a live event or on the web, Sparksight is ready to help you deliver an unforgettable experience that truly connects with your customers. For more information, visit: http://www.sparksight.com or call: (800) 457-0905. Revolution Manufacturing, North AmericaÂs largest snowboard production facility, announces itÂs new custom graphics program for ski and snowboard shops, as well as rental fleets. "The Made In USA label is becoming more and more important to customers and shop owners as some Asian manufacturers have experienced quality control issues. While quality is on the top of buyersÂ minds, we wanted to offer that and even more. ThatÂs when our custom graphics program was hatched," said Brady Fox, RevolutionÂs Marketing Director. Revolution combines the industryÂs top design engineers and builders with the worldÂs largest and most sophisticated snowboard and ski presses. This enables Revolution to build snowboards and skis with the highest standards in the industry. Since itÂs official opening in 2003, Revolution has become the OEM provider for several world class ski and snowboard brands. These companies have been impressed with RevolutionÂs quality, fast turnaround, and competitive prices. Along with the big brands, many ski and board shops nationwide have contracted with Revolution to build custom rental fleets and shop-branded skis and snowboards. "Selling and renting products with a shopÂs logo and graphics on them is a great way for shop owners to build their own brand name," said Fox. The revolution has begun. Made In the USA means something again. For more information about Revolution Manufacturing, visit http://www.revolutionmfg.com or call 1-888-542-SNOW. SmartSource Computer & Audio Visual Rentals (Hauppauge, NY), one of the nation’s leading providers of computer, audio visual (AV) and trade show technology rentals and services, announced today a new Houston, Texas branch, its 24th location in the United States. The new office is located at 5833B Westview Drive within minutes of Houston’s major highways, airport and downtown area. Equally important, it is situated in a city that is home base for many of the world’s top companies, ranked second behind New York in number of Fortune 500 companies. According to SmartSource Vice President Chad Frank, “In addition to being home to many Fortune 500 companies, which are a key segment of our customer base, Houston has become a leading destination for trade shows and conferences – another strong suit for SmartSource.” He noted that SmartSource is also looking to expand its client base within Houston’s booming energy, financial, legal, and legal services markets. SmartSource President and CEO Michael McClernon added, “Establishing a branch office in Houston, a major business hub with a high concentration of national, multi-national and international businesses, was a strategic decision. It was driven by our commitment to providing the highest level of service to our existing clients, many of whom have regular needs in this area. The fact that Houston hosts numerous trade shows and conventions was a further incentive for establishing a presence in this city.” SmartSource already has branch offices in Dallas and College Station, Texas. SmartSource’s Houston office will be headed by David Kirtley, a 12-year computer and AV rental industry veteran and experienced operations manager. He will follow the company’s proven customer service policies in providing SmartSource’s full array of brand name products and related services. ICC Computer Rentals, a nationwide supplier of computer rental and audio-visual rental equipment, has received The Outstanding Service ProviderÂs Gold Award from the National Computer Rental Association (NCRA) during this yearÂs awards ceremony. This is the second consecutive service award for ICC Computer Rentals emphasizing its leading position in the computer rental industry. The recognized service package provided by ICC Computer Rentals includes technicians on-site, spare equipment on-site, and a dedicated project manager to name a few items. ICC specializes in providing these packages for each tradeshow, meeting, and business rental. With more than two decades of experience as a computer rental company, ICCÂs premier status in the industry is well recognized. ICC ships single or volume laptop rentals on a same-day basis, having over 1,000 rental laptops in stock at any point of time. The breadth of ICCÂs product range is uniquely wide; ICC can supply laptop rentals, desktop rentals, server rentals, plasma displays rentals, LCD projectors rentals, staging and lighting rentals and more for trade show or business use. ICCÂs pioneering instinct has extended itself even further recently with the introduction of a new and innovative computer rental presentation product Â the ICC Interactive Kiosk. With a sleek and lightweight design, this Internet Kiosk is ideal for cyber-cafes, registration set-ups, information stations and much more. The internet capable kioskÂs high-end configuration includes a Pentium IV 3.0GHz desktop, a 17Â LCD touchscreen, 802.11g wireless network card, built-in speakers, and the option for custom logo branding. ICC Computer Rentals is a nationwide rental provider of computer rental and audio-visual rental equipment. With over 20 years of experience, ICC has been a pioneer in the computer rental industry by setting a benchmark for offering state-of-the-art equipment at the most competitive pricing. As a rental organization, ICC maintains a strong focus on service by following strict quality control procedures and providing 24-hours-a-day, 7-days-a-week technical support on every order. For more information, please visit http://www.iccrents.com. SmartSource Computer & Audio Visual Rentals (Hauppauge, NY), one of the nation’s leading providers of computer, audio visual (AV) and trade show technology rentals and services, announced today the Company’s San Diego, CA branch location has moved to a new location in order to accommodate increased demand and better serve existing clients. The new office is located at 7243 Engineer Rd., Suite E, in San Diego, California. The company has 24 locations, including 4 in California, and is the largest Event Technology Provider in the U.S.
SmartSource has been providing technology solutions, services and rentals for over 20 years in the San Diego area and continues to be the provider of choice for a wide variety of businesses in the Southern California area. The local staff of technology professionals has direct experience working with area hotels, businesses, trade shows, performance venues and the San Diego Convention Center to provide a wide range of technology solutions, computer rentals and AV equipment. The new San Diego location allows SmartSource to continue providing the high level of service clients have come to expect in a more efficient and effective environment. Everything from improved office and administrative space, fleet vehicle access and the warehouse where computer rental and audio visual equipment is configured before dispatching has been upgraded. SmartSource’s San Diego branch is headed by Cliff Baxter, a 20+ year computer and audio visual industry veteran who has literally been working in the branch since it first opened. This high level of technology industry experience has come to define SmartSource Rentals as a national leader in computer rentals, trade show services and audio visual rentals.